The WWE Great Balls of Fire 2017 pay-per-view will take place on July 9, 2017 at the American Airlines Center in Dallas, Texas and will be a Raw-exclusive event. Follow along here for spoilers and information on the event's card, lineup of matches and news regarding the pay-per-view. Here are my predictions for the 2017 WWE Great Balls of Fire PPV. Check back for Great Balls of Fire 2017 results and review coverage here. I don't understand this—just as I don't understand the decision to name this event Great Balls of Fire. If this leads to Samoa Joe as champion, then I'm all for it, but if it leads to him just getting shown up by Lesnar to make Lesnar look better, belittling Joe in the process, then they should have just had Finn Balor or Seth Rollins job instead. I really want Lesnar to drop the title either now or at SummerSlam, but it isn't going to happen here. Well, we're getting it a month later than planned, but we're still getting it. I'm so happy that Roman Reigns is fighting for the Universal Championship at SummerSlam as that should kill the idea of him fighting Lesnar for the title at WrestleMania, and if beating Strowman here is what has to be sacrificed in order to have that Reigns/Lesnar match called off at Mania, then I'm all for it. 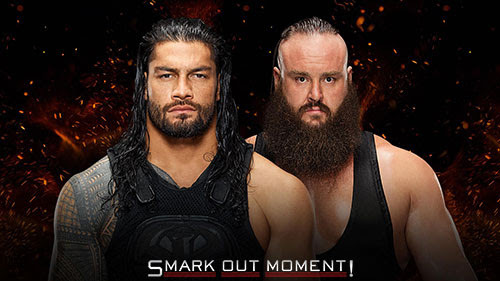 Ideally, Strowman would win this and then Reigns would beat Lesnar for the title, but I think they'll give the win to Reigns so he looks strong going into SummerSlam. PREDICTION: Roman Reigns is victorious to end the feud. Hm. 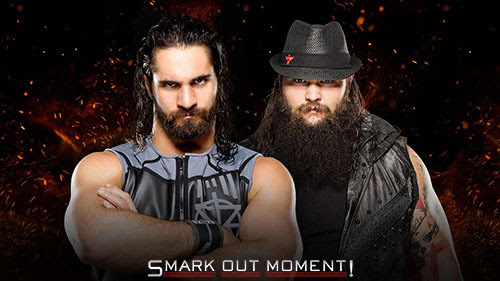 I was expecting this to be the SummerSlam match. Maybe they're building up Nia Jax for that instead, or they're going to do some kind of Fatal 4-Way or Triple Threat scenario? 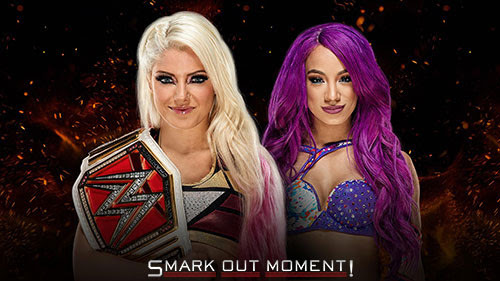 Sasha was the one I thought would eventually take the belt from Alexa, so I hope that doesn't happen at this event, but I don't know where they're going from here in either direction. PREDICTION: Who cares? Let's just say Bray Wyatt wins. He needs the win more. 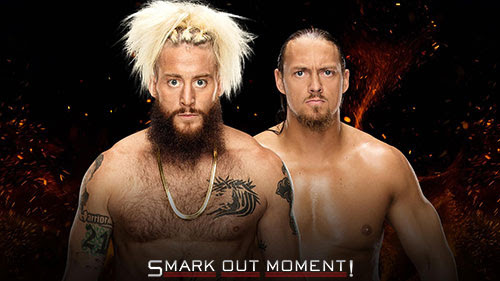 I think this could be a sleeper best match of the card if they're given enough time to flourish, so I'm looking forward to it. Neville's been doing the best work of his career (despite the Aries feud going on too long) and Akira Tozawa is fun to watch. I'm down for it. PREDICTION: Neville retains. He needs to drop it to Cedric Alexander. Poor Enzo. He's going to get eaten alive here. 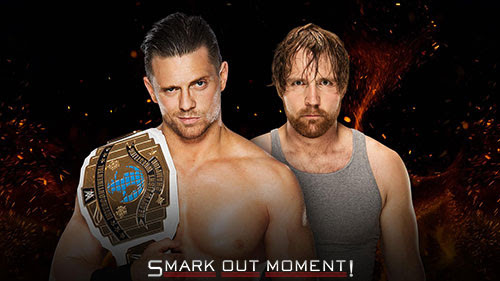 I sincerely hope this is the end of their feud and The Miz can move on to something else. I'm hoping Ambrose gets put in a feud with Samoa Joe following GBOF and The Miz can start to work with either Seth Rollins or Finn Balor. In the meantime, The Miz needs to retain here. PREDICTION: The Miz is victorious with help from The Miztourage. With Sheamus taking time off to film a movie in August, they need to drop the tag titles, and I can't picture Matt and Jeff Hardy not wrestling at SummerSlam. This should be where they win the belts back and then move on to a new feud against either Gallows and Anderson or The Revival (or maybe The Miztourage) for SummerSlam while Sheamus is away and Cesaro just sits out the SummerSlam card. PREDICTION: The Hardy Boyz win the titles back. This seems like a feud now.